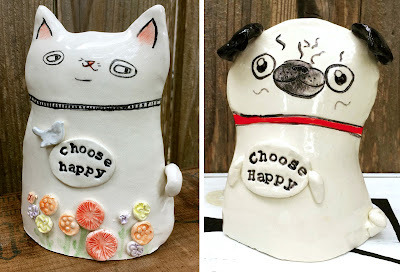 Handmade Mugs with a Daily Dose of Cuteness & Encouragement. 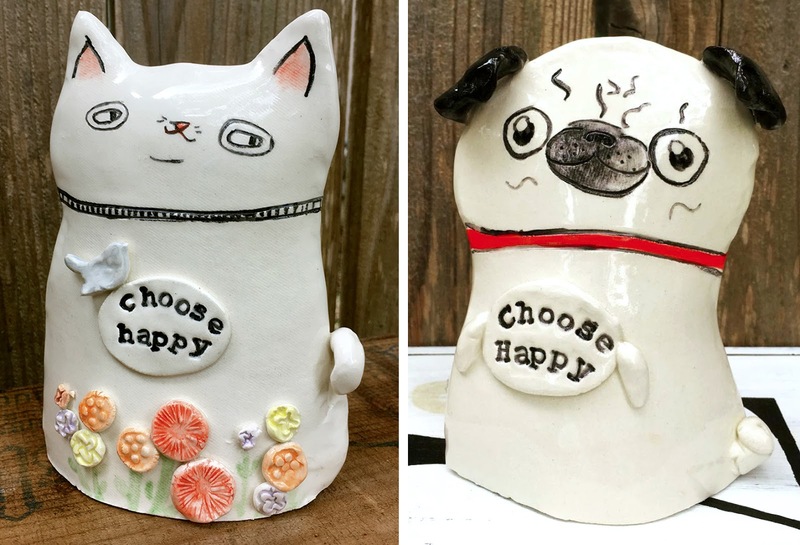 Joyful Clay Pieces for the Home with a Sense of Shared Happiness. Art can achieve many goals, but the most important objective in my opinion, is making people happy, from the artist to the end enjoyers. 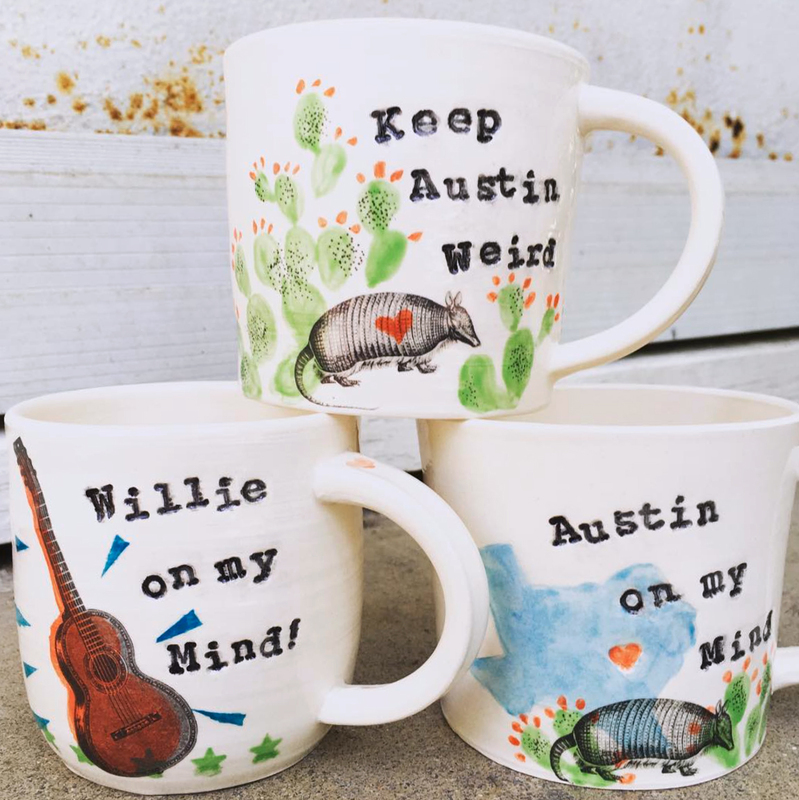 For Austin based ceramicist Joy Noguess of Tiny Happy Clay, the positivity is baked right in, literally and figuratively. You probably can guess from her brand, and actually her own name, that happiness is a core value. 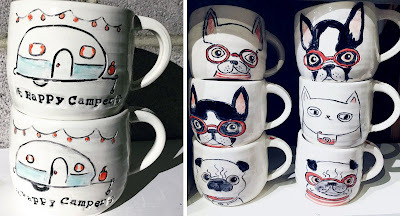 She finds inspiration in the chance to make something that will bring a smile to your face and a little more joy to every day activities, like your morning cup of coffee or tea. As such, mugs are her specialty, but she also experiments with a range of other ceramic home goods from plates and planters to decor items. 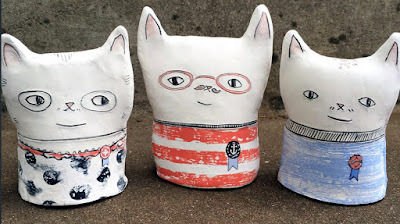 Each one is carefully sculpted and embellished with a touch of whimsy. I personally love the encouraging phrases, many of which are cleverly paired with their respective imagery for a fun, pun-like effect. Who doesn't need a little extra encouragement in their day to do good and choose happiness? Joy has designs for everyone's taste, whether you’re a dog person, a cat person, hippie, trendy, sassy, adventurous. She also has a great collection of Austin-centric options featuring iconic visuals like the "I Love you so much" graffiti, armadillos, bats, bikes, bluebonnets, etc. Her pet designs are some of my favorites. What's not adorable about a dog wearing glasses or reminding you to be happy? Well done Joy! Keep spreading the love one pound of clay at a time!